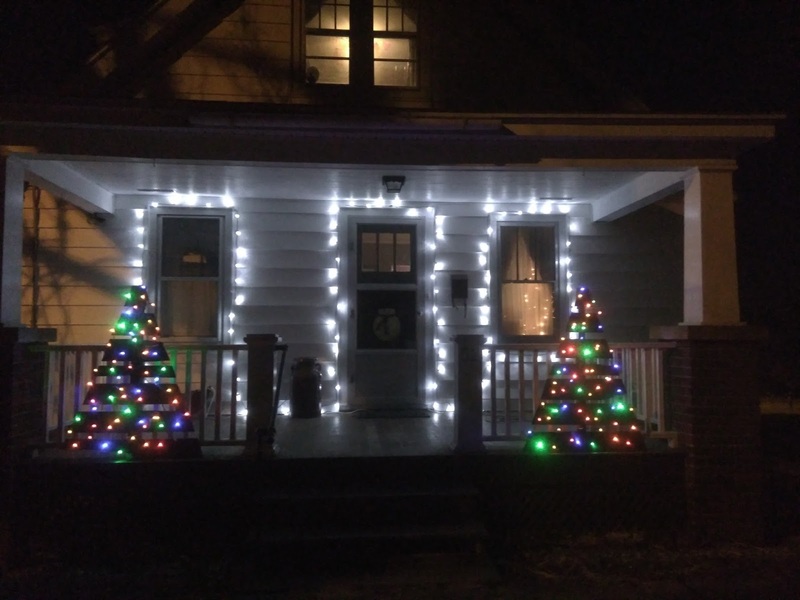 I finally did it. 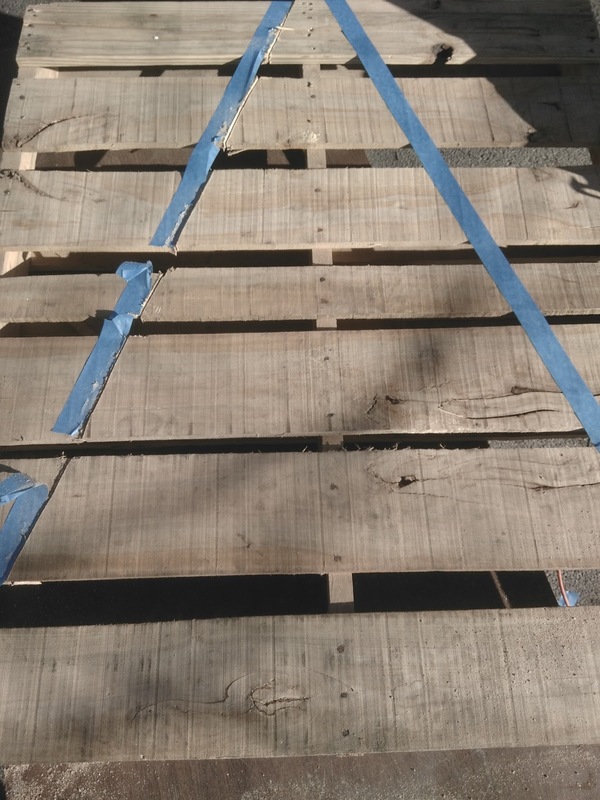 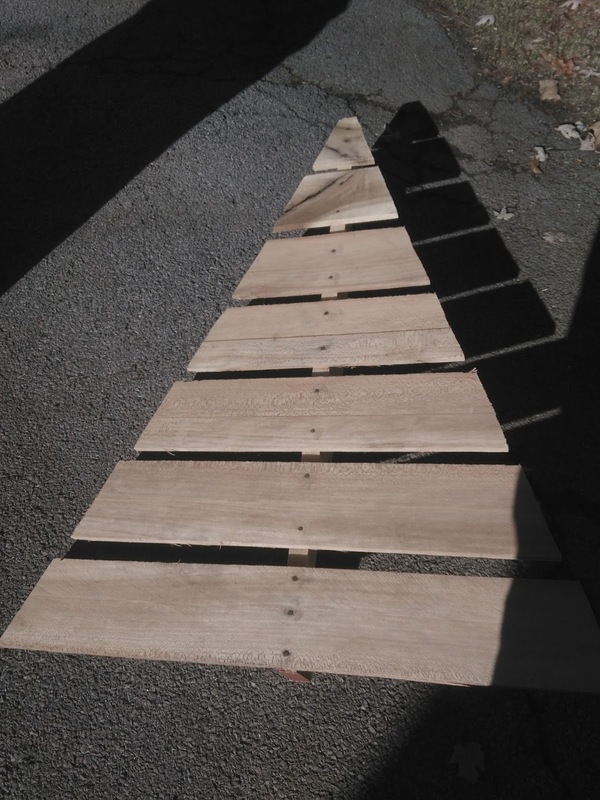 I've had a pallet in my garage to make trees out of for over a year. 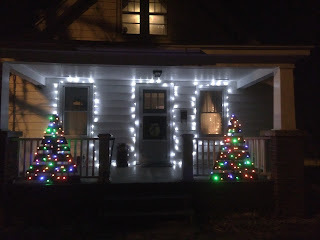 They finally got done and they look great. 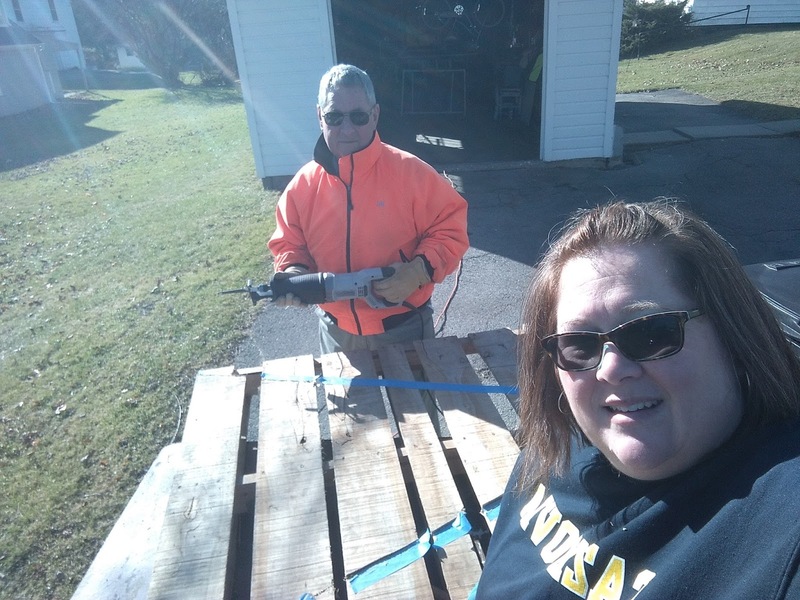 Since my dad retired I asked him to help me with the project. I looked up different ways to do it on pinterest and watched some youtube videos. 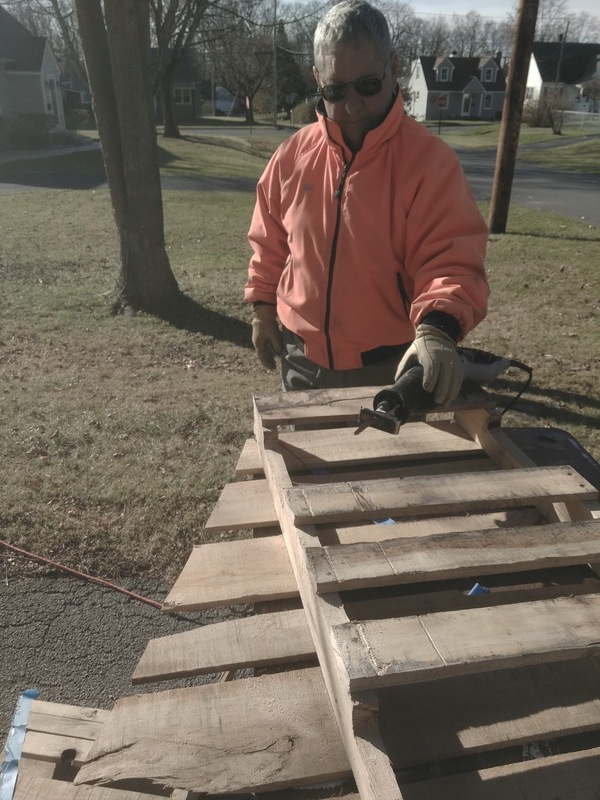 We were so successful the first day that I needed to find another pallet so I could do 2 more for the front yard. 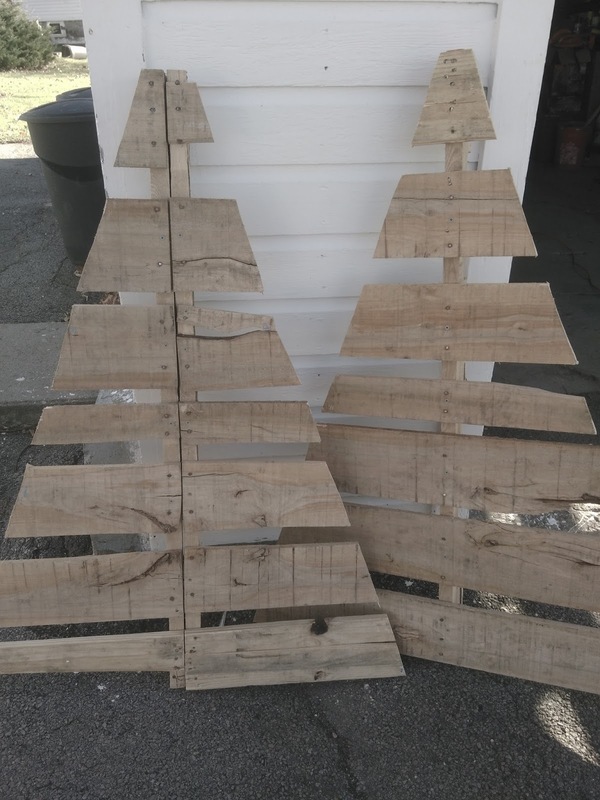 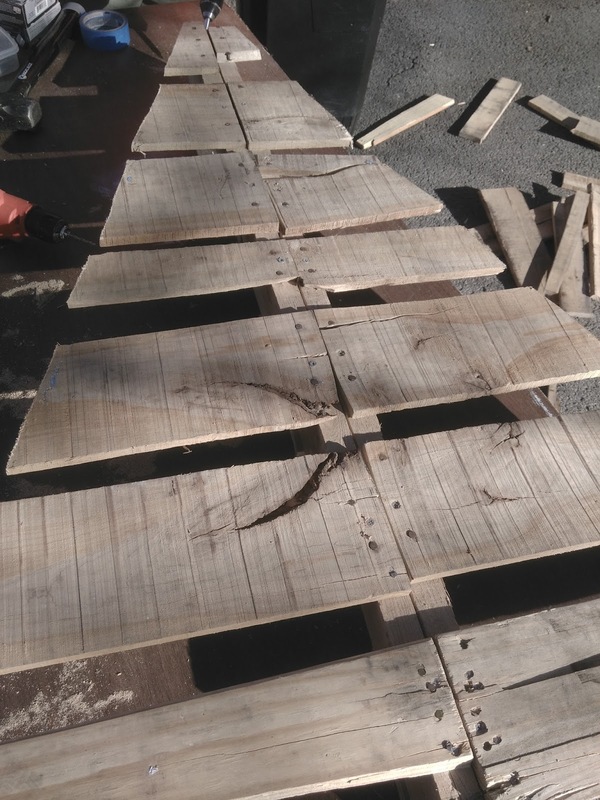 We actually got 3 trees out of the first pallet, 2 large trees and 1 small tree. 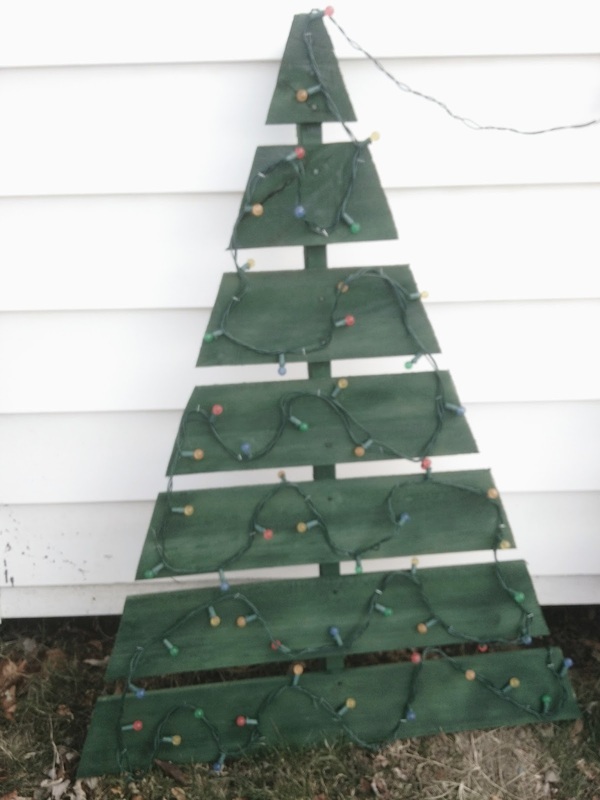 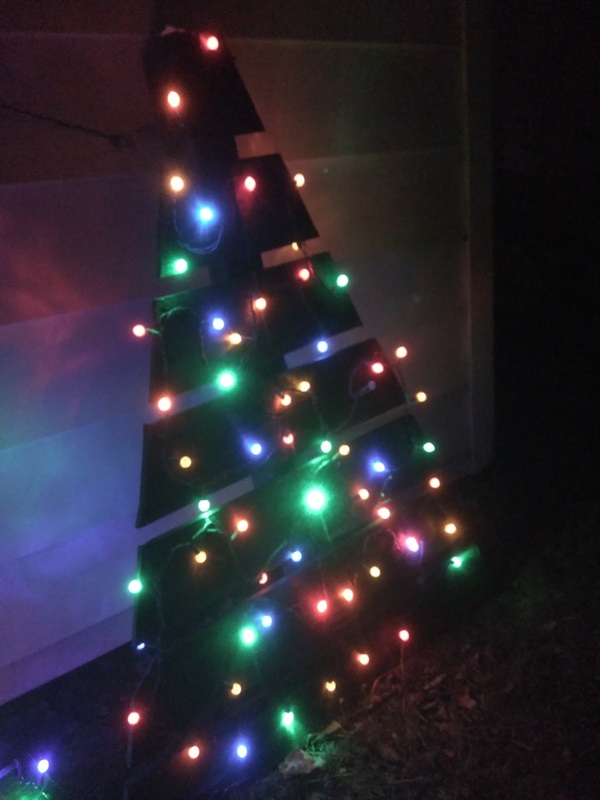 We found a short piece of 2x4 in the garage and used that to attach the scraps to and made the small tree. 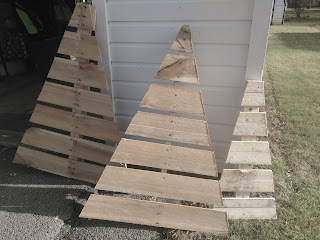 With the second pallet we only made 2 trees as I didn't have an 2x4 to make another small one. 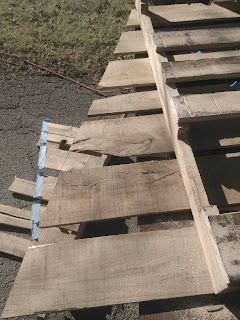 But I did save the scraps in order to do it at another time. Tree made out of the 2 side that fall off when you cut along the 2x4 back brace. 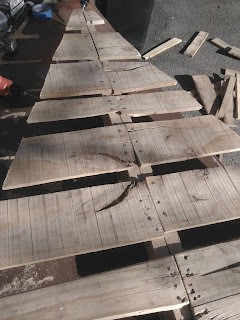 You just need to screw the 2 sides together using wood screws or decking screws. 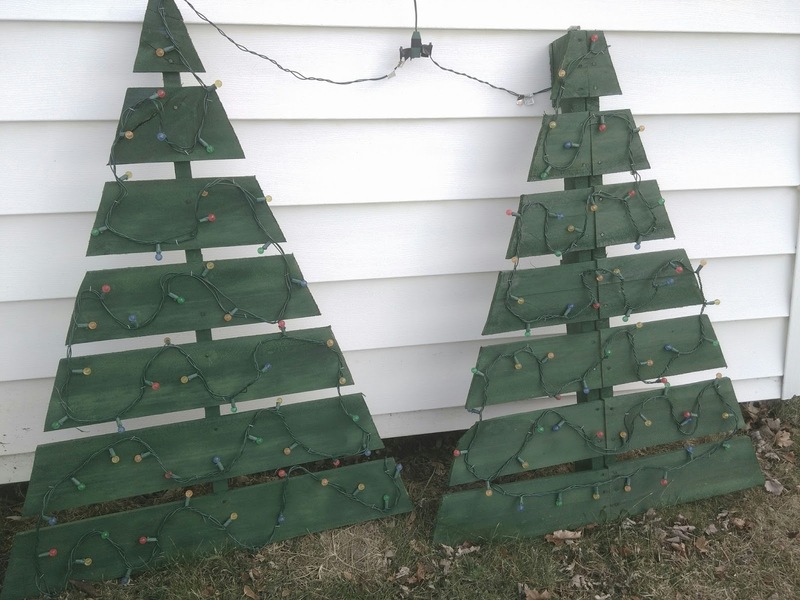 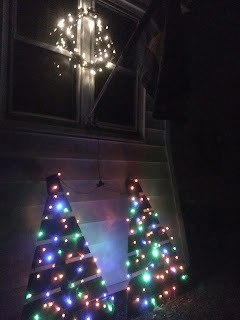 I then had my daughters help with the project and then spray painted the trees green.We then stapled outdoor lights to the trees. This is the small tree made from the scraps. My dad added a star to the top and white lights.